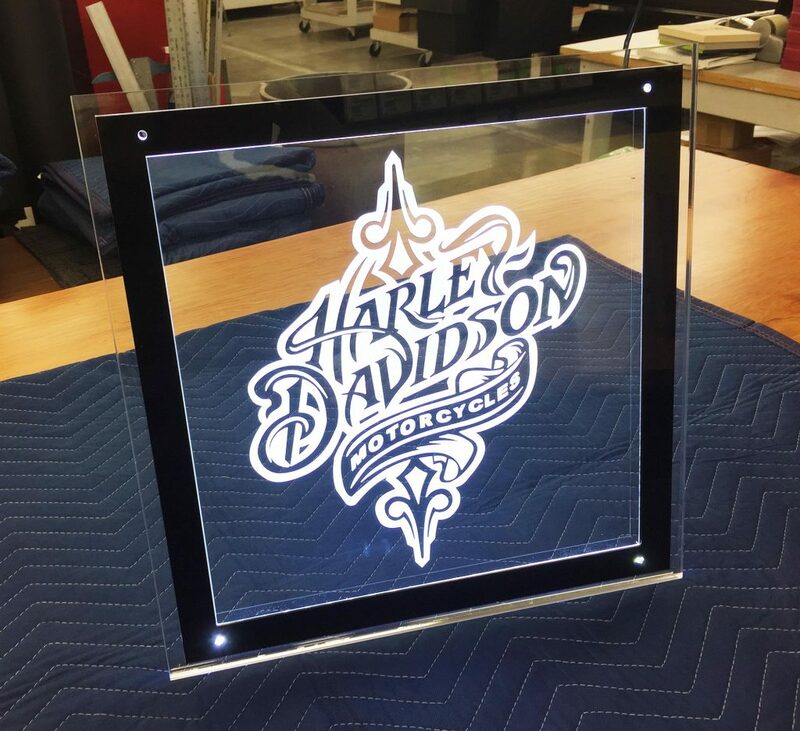 Our new Custom Super Bright Laser Engraved Acrylic LED Sign Panels are an exclusive product to LCI. 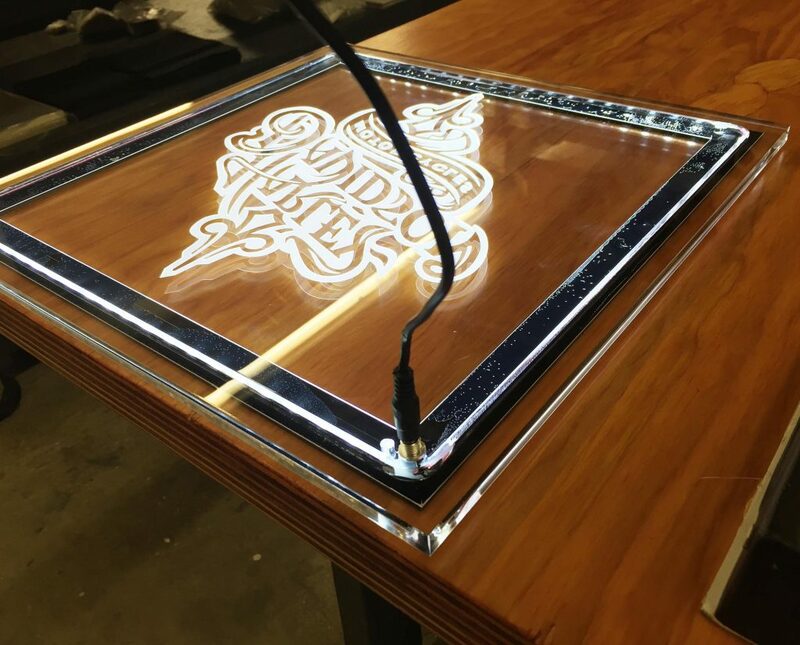 We engrave your custom logo, graphics or copy on the 2nd surface (back side) of the acrylic. All LED lights and connections are contained within a 1/2″ thick piece of acrylic! No more channels or bulky frames to hide the lighting and electronics. Just simply connect the supplied mini power supply to the power jack on the back. These panels can be hung or they can be wall mounted with stand offs. Do you need a sign which has a special contour? No problem. We can follow the contour of your logo and we can wrap the LED’s to follow. Since the channel has been eliminated, the sky is the limit.